Thank you for considering Overhead Door Company of Tyler. Since 1934, we have been Tyler and East Texas' preferred choice for quality residential, commercial, and industrial overhead doors, garage door openers and accessories, rolling steel doors, dock equipment, and high speed doors. For over 80 years, we have proudly built our reputation based on quality craftsmanship, dependability, honesty, and first class customer service. 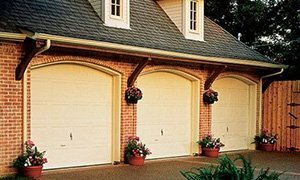 Overhead Door Company of Tyler is committed to providing the very best in residential garage doors, commercial doors, and openers and accessories. 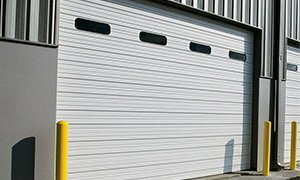 Whether you're looking for a stylish new garage door for your home, a more energy-efficient commercial door for your business, or a better integrated door system for your industrial project, as an Overhead Door Red Ribbon Distributor, we carry the quality and reliable products you want with the safety features you need. We have the overhead doors to fit your style, your budget, and your needs. 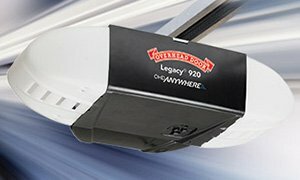 As a Red Ribbon Distributor, Overhead Door Company of Tyler has the experience and expertise to keep your home garage door or commercial door running smoothly, safely and efficiently. Whether you're looking for a product installation, help with a repair or regular maintenance to keep your garage door in top shape, Ken and his team are here to help. Our service technicians are not only professional and friendly, but as an Overhead Door distributor, you can rest assured that every member of our team is thoroughly trained, screened, and knowledgeable in their field.